A team of biologists has identified a small marine predator that once patrolled the ocean floor and grabbed its prey with 50 spines that it deployed from its head. Named Capinatator praetermissus, it is roughly four inches long and represents a new genus and species. 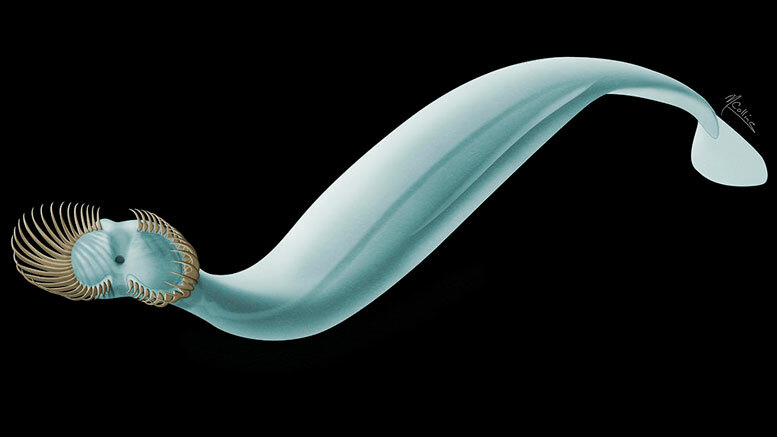 Scientists from Yale University and the Royal Ontario Museum made the identification based on 50 specimens from the fossil-rich Burgess Shale in British Columbia. “This is the most significant fossil discovery of this group of animals yet made,” said Derek Briggs, Yale’s G. Evelyn Hutchinson Professor of Geology and Geophysics and curator at the Yale Peabody Museum of Natural History. Briggs is lead author of a study published August 3 in Current Biology about the discovery. Jean-Bernard Caron, senior curator of invertebrate palaeontology at the Royal Ontario Museum and an associate professor at the University of Toronto, is co-author of the study. Chaetognaths are small, swimming marine carnivores that are also known as arrow worms. They represent a separate, major phyla of animals. Capinatator is one of the largest chaetognaths known, living or fossil. At more than 500 million years old, Capinatator is thought to be a forerunner of the smaller chaetognaths that are abundant in today’s oceans, where they make up a large portion of the world’s plankton and the ocean food chain. The researchers said Capinatator’s head configuration is unique. It has about 25 spines in each side of its head — nearly double the maximum number of spines in today’s chaetognaths. The researchers said Capinatator captured prey by closing the two halves of its grasping spines toward each other as it swam. Briggs noted that while it is fairly common to find evidence of chaetognath spines, fossilized chaetognath bodies are extraordinarily rare. In this case, many of the Capinatator specimens included evidence of soft tissues. 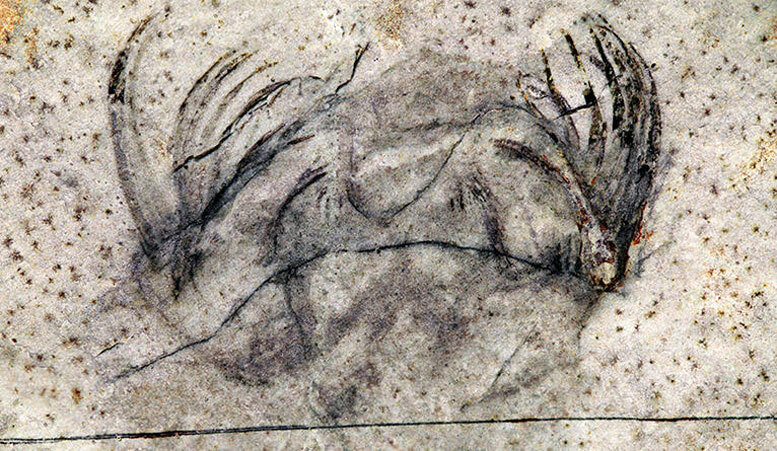 The name Capinatator is derived from “capio,” which means “to grasp,” and “natator,” which means “swimmer.” The species name praetermissus means “overlooked.” The material for this study was collected by the Royal Ontario Museum under various research and collecting permits delivered by Parks Canada. The Burgess Shale fossil sites are located within Yoho and Kootenay National Parks. The Burgess Shale was designated a UNESCO World Heritage Site in 1980. Parks Canada protects the sites and works with leading scientific researchers to expand knowledge and understanding of this key period of earth history. The NASA Astrobiology Institute, a Natural Sciences and Engineering Research Council Discovery Grant, a Peer Review grant from the ROM Reproductions Fund, and a grant from the Louise Hawley Stone Charitable Trust Publications Fund supported the research. Be the first to comment on "Researchers Identify a Prehistoric Sea Creature That Once Patrolled the Ocean Floor"